The second Neuroadaptive Technology Conference (NAT’19) will be held in Liverpool from 16th to 18th July 2019. 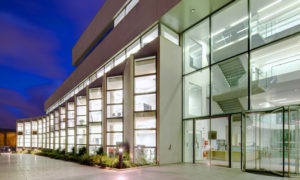 The venue for the meeting is the John Lennon Art and Design School, which is part of Liverpool John Moores University. All accepted abstracts will be published in an edited collection on Neuroadaptive Technology via a recognised academic publisher (Elsevier). A selection of authors will be invited to submit full book chapters about their research to the same collection. Details of the first NAT conference in 2017 can be found here.